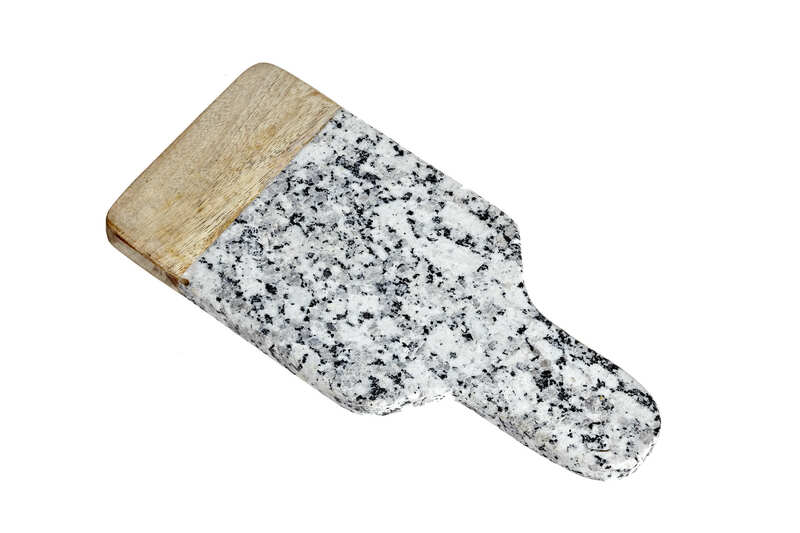 A mini grey & white granite board, with a Mango wood trim, ideal to serve cheese, sliced lemon or anything hot. Handmade so every board is truly unique, no two will be the same. Made in India to very ethical standards.